Ms. Daley retired from General Electric Company (“GE”) in January 2014, having most recently served as a Senior Advisor to its Chairman from April 2013 to January 2014. Prior to this role, Ms. Daley served as GE’s Senior Vice President of Corporate Business Development from 2004 to 2013 and as Vice President and Senior Counsel for Transactions from 1991 to 2004. As Senior Vice President, Ms. Daley was responsible for GE’s mergers, acquisitions and divestiture activities worldwide. Ms. Daley joined GE in 1989 as Tax Counsel. Previously, Ms. Daley was a Partner of Morgan, Lewis & Bockius, a large U.S. law firm, where she specialized in domestic and cross-border tax-oriented financings and commercial transactions. Ms. Daley also currently serves as a director of both BP plc, one of the world’s largest integrated oil and gas companies, and SecureWorks Corp., a leading cybersecurity company. Ms. Daley previously served on the board of BG Group, an international oil and gas company, until it was acquired by Royal Dutch Shell on February 15, 2016, and on the board of Patheon NV, a contract manufacturer of pharmaceuticals, until it was acquired by Thermo Fisher Scientific in August 2017. Mr. Robbins has served as the Chairman of Cisco Systems, Inc. (“Cisco”) since December 2017 and as Chief Executive Officer since July 2015. 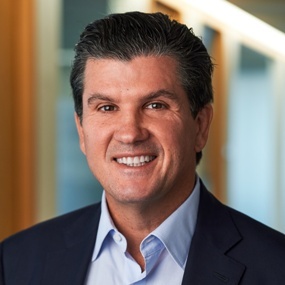 Prior to assuming this role, he was Senior Vice President of Cisco’s Worldwide Field Operations and led its Worldwide Sales and Partner Organization where he helped drive and execute many of Cisco’s investment areas and strategy shifts. He serves as Chairman of the U.S.-Japan Business Council, Chair of the IT Governors Steering Committee for the World Economic Forum and is a Member of the International Business Council for the World Economic Forum and The Business Roundtable. Mr. Wilson served as the Chief Executive Officer of Aviva plc, a multinational insurance company headquartered in the UK, from January 2013 to October 2018. Prior to joining Aviva, he worked in Asia for 14 years, including as Chief Executive Officer of AIA Group Limited, a leading pan-Asian company. Mr. Wilson is recognized for his leadership on sustainability issues and is a member of the UN Business and Sustainable Development Commission. In addition, he is a member of the Development Board of the Royal Foundation for the Duke and Duchess of Cambridge, Prince Harry and Ms. Meghan Markle. To view the charter documents, click on committee name.